The East Frisian count Johann donated in 1584 two identical communion chalices to the deaconry of the “Huissittenden Armen” (Huissittende poor). The dedication to the deaconry is documented in a transcription, which is situated in the edge of the lid in both chalices: „DESSEN BEKER GAF GRAVE IOHAN THO OSTFRIESLANDT DEN HVSSITTEN ARMEN THO EMBDEN AN 1584 DEN 18 OCTOB“ (Count Johann of East Frisia gave this cup to the Huisitten poor in Emden on 18 October 1584). The chalices given by Count Johann are furnished with typical arabesques from the Renaissance time period on the outside, and each shows three times the crest of the count’s family Cirksena. 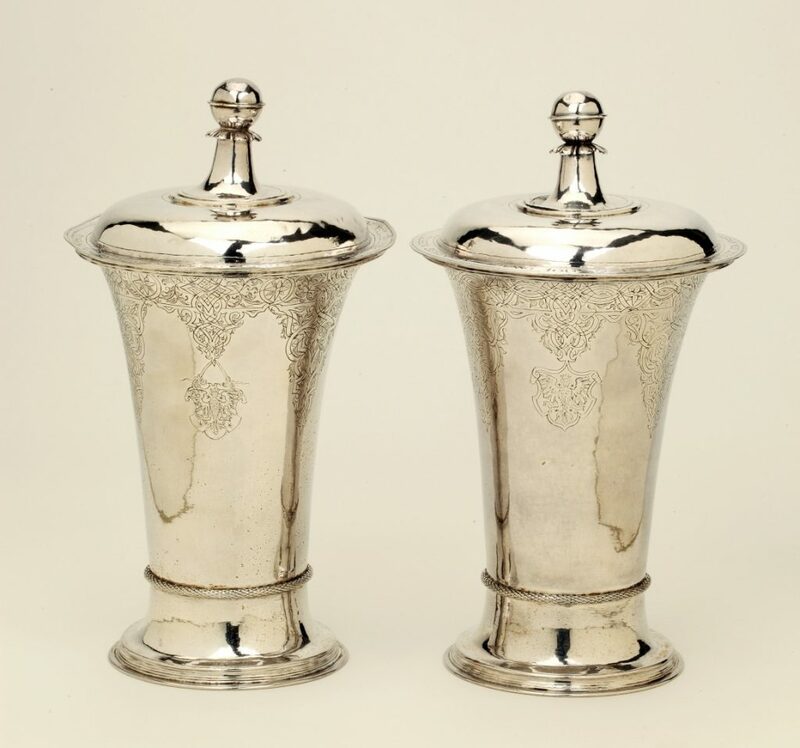 Aside from those engravings and an ornamental cord on the lower part, which is supposed to hide the connecting seam, the chalices appear rather plain. The arched lids have a round knob and have the transcription as mentioned above.